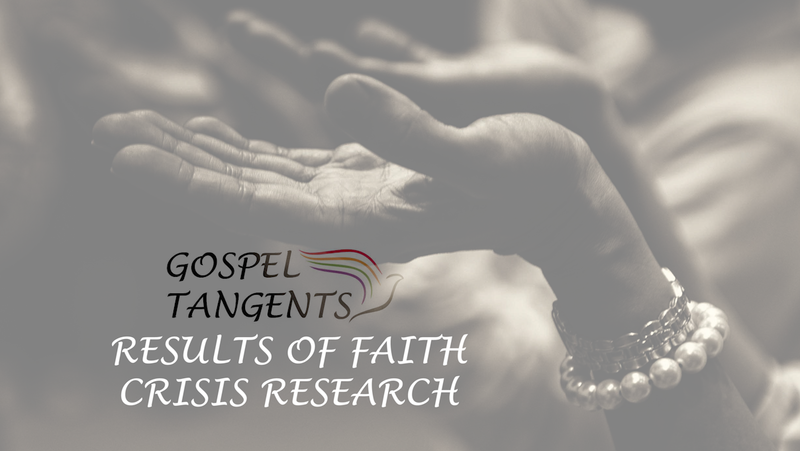 Kurt Francom recently interviewed David Ostler on his podcast about faith crisis research Ostler has done regarding reasons why people quit coming to church. Is there a disconnect between what leaders believe and what these people say? Kurt will answer that question. Kurt: Another question he asked, “The percentage who strongly agree about the contribution of issues in individuals’ faith crisis in regards to questions about church history and then went the other way, right? A lot of a faith crisis members, that was a biggie: more than 85 percent. Gender roles within the church, that was another biggie. GT: How about the leaders? Did the leaders see that as a problem? Kurt: The leaders were around 40 percent, but it wasn’t the 80 percent. Right? There’s still a discrepancy. GT: Yeah, 40 and 80, there’s a big difference. Kurt: The Church’s LGBT policy, same thing. I mean they almost look identical. Transparency with decision making, same thing, right? And so with this information, I feel like a leader can better approach some of these situations when they have the right statistics, right? The right the right data. So does that make sense? GT: Yeah. So, the big issues or the real issues I guess we should say are our church history was, was 85 percent, you said? GT: LGBT was probably second? Kurt: Yeah, that was just under 80 percent. GT: Under 80 percent. So Church history…. Kurt: Gender roles was the other one which was about 70 percent. Kurt: Yeah. And to me that doesn’t mean, in my opinion, no doctrine, absolutely zero doctrine has to change. It’s not about getting doctrine to change, it’s about the culture. If we can change the culture and start talking, and having a dialogue about these things, then then I think that’s where we’ll see those pews start to fill up with those that maybe have separated themselves from the church. He thinks that if more leaders were armed with correct information, they can come up with other ways to make our congregations more friendly to people who are experiencing issues of faith. Do you agree? Check out our conversation, as well as our previous conversations with Kurt. Kurt Francom discusses David Ostler’s faith crisis research, and hopes to make wards more friendly to those who doubt. 218: Is it Bad to be Called LDS or Mormon?